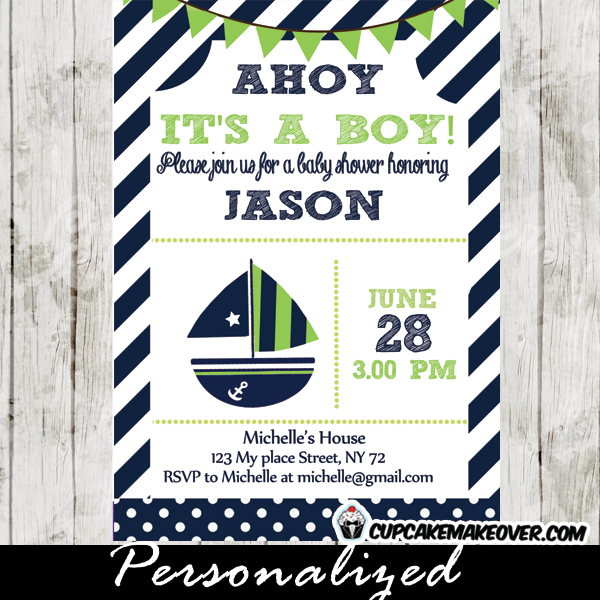 Printable Green and Blue Sail Boat Nautical Baby Shower Diaper Raffle Tickets / Diaper Raffle Cards. 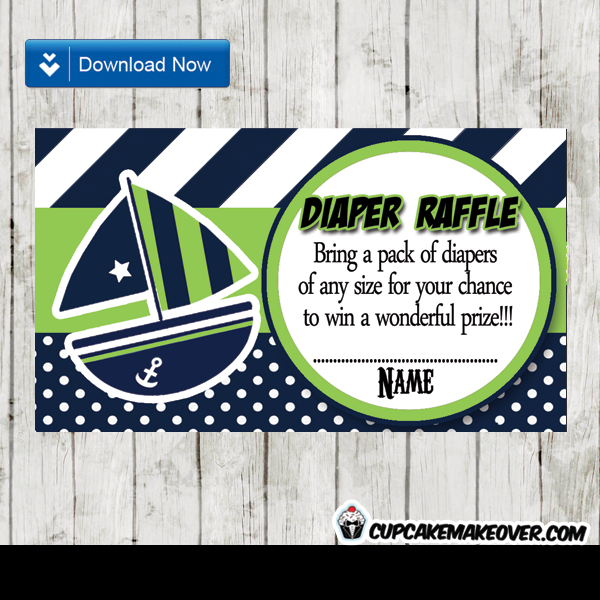 Ten 3.5″ x 2″ diaper raffle tickets per sheet. 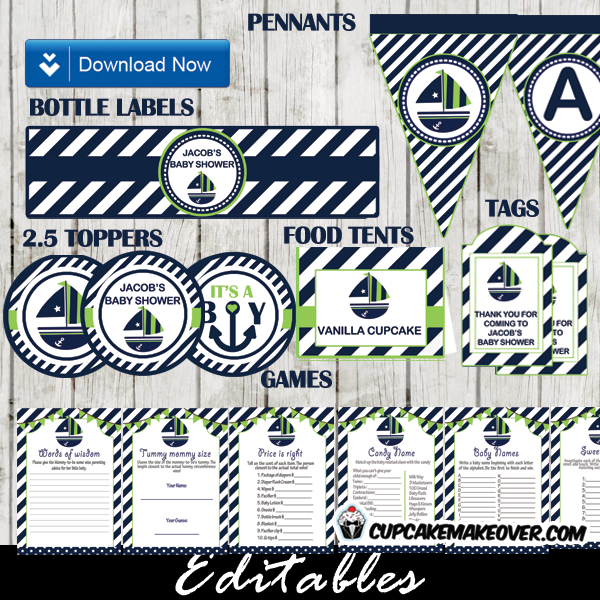 Ten 3.5″ x 2″ thank you cards per sheet.